Happy Thanksgiving from North Star! I wanted to take a minute to wish you and your family a very Happy Thanksgiving from all of us at North Star. We are so thankful that you have chosen to be part of the North Star family, and so thankful that you have treated our family as part of yours. We are so grateful to be a part of this community of campers, staff, alumni and parents who are working together to not only create a safe place for your boys to grow and play each summer, but also ensure that each boy who comes to North Star leaves with the both the skill and the will to make a difference in the world. I cannot thank you enough for your support of North Star, and more importantly, for trusting us with your boys. On a day of thanks, we are throwing in a Keylog for the entire North Star Family. Thank you for all of the ways that you continue to support North Star - not just spending your summers at North Star, but by referring your friends and family as well. We are thankful for all of the summers you have spent with us, and for all of the summers you will continue to spend with us in the future. We know that the Summer of 2014 is going to be a great one! We hope that you have a fantastic Thanksgiving. Thanks again for choosing to be part of the North Star family! The November Siren is Online! It's hard to believe that Thanksgiving is right around the corner. As the leaves have turned, now so will the pages of the November Siren. Go ahead and check it out: http://bit.ly/13novsiren! We hope that you will be able to join us next Sunday for the North Star Reunion. It'll be great to catch up with friends, bowl and watch the Summer of 2013 video. You can RSVP on Facebook or by emailing Andy (Andy@NorthStarCamp.com). The event is free and parents are welcome to join us too. At North Star, we make good use of costumes! So Halloween is over, which probably means that you've made a dent in the top tier candy and are now ready to see Christmas displays on your next trip to Target. While we are doing our best to get the folks at Reese's to make a peanut butter cup equivalent with sun butter, we do have have a solution to one problem... what to do with those costumes. If by chance you're left with a costume that you don't want to throw away and won't fit by next Halloween, it doesn't have to go to waste. Recycle it and send it to camp! We like wearing costumes at camp. We wear costumes for our musical. We wear costumes for the Guten Gallop and our skits. Heck, we wear costumes for no reason at all. So if you want to add to our selection of costumes, we promise it won't go to waste. If you've got a costume to recycle, hold onto it for now. Stash it in your son's duffle bag, which are probably tucked away in a closet somewhere. Before you know it, it'll be June, you'll dust off those duffles and lo and behold, you'll find that costume that you had forgotten about. Send it to the Northwoods and we'll make sure that it gets to the NSC props room. Just remind your son to give the costume to a counselor when he's unpacking...otherwise he may end up wearing that costume as part of his regular camp wardrobe... not that thats a problem. Andy is hitting the road for his first slate of city visits and reunions. Here are the first few cities where you can catch up with Andy. We hope that all...All...ALL of our campers and staff in these cities will be at our reunions. If you know of any prospective camper families in these cities, have them contact Andy or you can let him know as he is available for home visits. Of course, prospective families are also welcome at our reunions. Email andy@northstarcamp.com to set up a visit or to find out more details about his travel schedule. More details to follow on the Nashville Reunion as well as stops in many other cities! The Lodge has received a facelift, both inside and out. It has been refinished, stained and painted to freshen up a building that is almost 100 years old! The Archery Range has been widened and updated to accommodate more campers at the same time. We've also updated the shooting platform to a more comfortable shooting box. With the addition of Stand-Up Paddleboarding and the increase in popularity of kayaking, we have been working hard to make sure we have everything we need to ensure that those programs can continue successfully. New racks at the Fun Bug area are just the start. And don't forget the addition of our new tournament style waterski boat! This newest member of our fleet will give our skiers the opportunity to really perfect their slaloming skills on a boat meant to give the campers the speed they need with almost no wake! We've also started updating our canoe fleet by adding 10 Old Town Penobscot 174 canoes. We have been doing work on several of the cabins including J2 and J7 and we are working on several other major projects. Keep your eyes on the blog for more info! "I met amazing people that not only are my friends but also is my family, my north star family." Alex wanted to share this bit of his culture. Today, September 16th is Mexican Independence Day. So to our campers, staff and alumni in Mexico, Feliz Día de la Independencia! 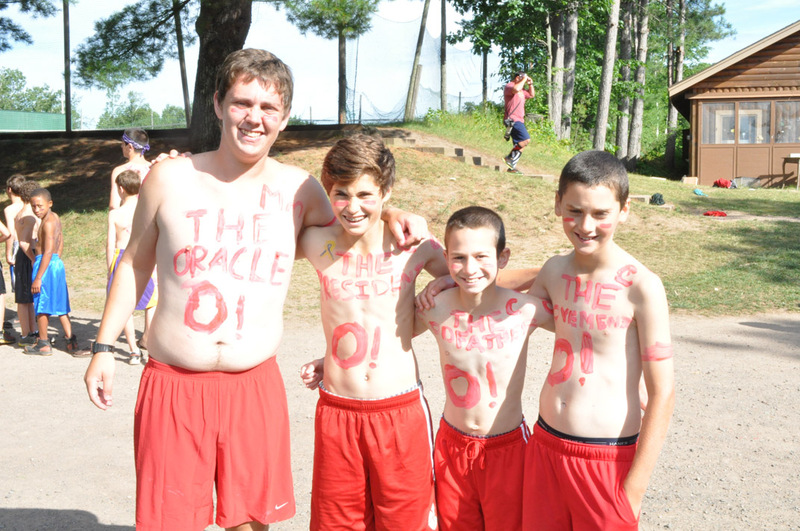 Camp parents, please make sure you share the newsletter with your son! You can always access our newsletters by going to northstarcamp.com, going to the "Current Families" section and then "Newsletters" link. We do our best to stay in touch all off season long. 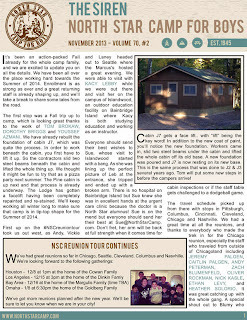 We always need news for upcoming newsletters, so please send any camper and staff news to office@northstarcamp.com. Our campers have been gone for over two weeks, but we still have a few items in the Lost & Found. Yes, campers lose things from time to time and we do our best to return them. Sometimes things don't find homes and we want to give it one last shot before the items in our Lost & Found get donated to a local charity. There is one item that we haven't posted a picture... You'll see on the Virtual Lost & Found a set of blue and black Soul headphones. They were found in a case with a few other items, including an iPod. We're not picturing the iPod, but if this is yours (or your son's), call us at 715-462-3254 or email dan@northstarcamp.com or andy@northstarcamp.com, tell us what type and color iPod it was and we'll send it home. Check out the Virtual Lost & Found. Items not claimed by the end of the week will be donated to a local charity. We were lucky enough to have photographer Rachel Beltzman at camp for our final day to capture some of the scenes of Request Night and our Final Banquet Dinner. Check out this note from Rachel and make sure that you Check out the Photo Gallery! These photos will be up for 1 week. If anyone would like a print, please email me at rachelbphotostudio@hotmail.com so we can make arrangements. Its hard to believe that 2nd session ended just over two weeks ago. We know that many of our campers began school today or sometime last week and figured that it was a good time for an update as to what we've been up to since the buses rolled out on August 9th. As camp empties out on the 9th, there is quite a bit of work to be done. Least of that is making sure that everyone gets to where they need to go. Three buses headed to Milwaukee and then Chicago. We also had about a dozen flights leaving Minneapolis. Back at camp, we had our staff cleaning up cabins, boxing up lost and found (and yes...there was some lost and found) and getting ready for post camp. For one week, camp becomes more of a resort than camp. Post Camp has been a big part of camp for quite some time. Many families make it a part of their year as they venture to North Star to spend the week doing lots of different camp activities. For many, being at Post Camp means being a part of a camp community. One of our post campers, Clara Zukrow actually begain attending post camp with her husband 60 years ago and now her childnen and grand children join her. We had a fantastic Post Camp with great weather. Typically as Post Camp ends, we begin to pack up and shut down for the year, but not this year. Camp Kesem Minnesota headed to NSC for the week. For those not familiar with Camp Kesem, its a national organization that has chapters on college campuses all over the country. The organization outs on one week summer camps for children who have a family member dealing with cancer. There were 64 campers, both male and female, as well as 30 staff members that spent the week having a blast at camp. Their activities included many that we were used to, like climbing, archery and dodgeball, as well as a few that were new to us, such as the counselor ice cream war. We're looking forward to hosting Camp Kesem again! As Camp Kesem ended, we said goodbye to several staff that spent ten (or more) weeks at NSC this summer. 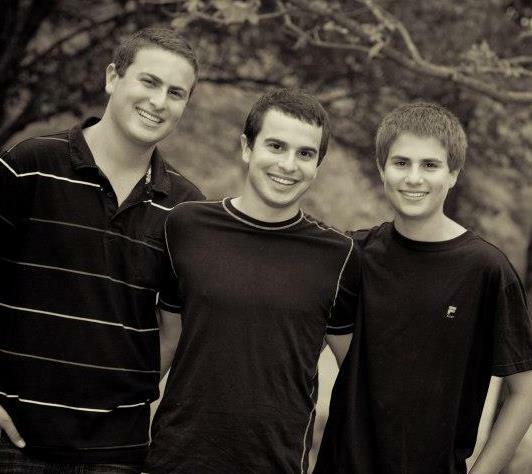 Yousssef Azmani, Olly Cayless, Scott Goldberg, Jason Mann, Jordan Reiff and Andy Rodheim helped run programming for both Post Camp and Camp Kesem. Andy and I will be up here for another week or so, along with Youssef, who is helping out with some projects around camp. We've already got 2014 on our minds. Work is being done on the exterior of a few cabins while others are having some work done to level them out. We'll continue to send along updates of the work around camp as well as pics as the colors change up here. beautiful. The catering crew for the picnic was family and friends. Cakes were made by Kathy and a neighbor. I couldn't get a picture of Kathy but she was glowing in a floral full length gown. Mike signaled the opening of the ceremony which was held in the lovely visitor center along with dinner, with some notes on his horn. Mike's band had their final performance at the wedding and when Mike wasn't getting hitched he was playing with the band. Who knew Kathy plays the flute? She and Kathy(Mike's bandmate) surprised Mike by playing a medley of a bicycle built for two and other love songs on their flutes. For awhile it was the Kathy and Mike show when Kathy joined her church choir to sing a toast. Not a dry eye amoung the NSC crew when they exchanged their vows. Mike was worried he wouldn't get through them since tears of joy would spring up throughout the night. Leb, Andy and I were suffering the same condition. He managed to get his beautiful words out without too much trouble as did Kathy. Mike sister was the officiant and she wove the bicycle theme through out the service brilliantly. Mike stopped his sister cold when she forgot to introduce a musical interlude for he and his band. Mike's niece a journalist and Kathy's son a Dr. of Philosophy both read their missives about the union that were so moving they should go on the road and perform marriages. At the very least publish. Instead of rice, bubbles were blown. At the end of the ceremony Mike came to our table and said "Leb I have no idea how to get the toasts started". He was hemming and hawing until Leb finally picked up on the idea that he wanted him to start the toasts. Leb started it off talking about the 25# Mike loses every summer playing non stop tennis, doing raps and making popcorn. Andy followed saying he didn't think it was possible for Mike to be happier until he saw him with Kathy and how amazing it was that Mike actually found a woman that would tell jokes with him on stage. It was easy to pick out the Storms family among the crowd. They look like Mike and share his happy go lucky approach to life. All are musical including mom and all tell jokes. Mike's mom is 85 and a dish. She played piano and her granddaughters sang their traditional song for grace. The sunset was perfectly timed and the moon was rising as the s'mores in the outdoor fireplace were offered. Who could make room for anymore sweets. Dan commented that you could tell it was Mike, the dessertatarian's, wedding since half the table was desserts. To add to the fun Andy found seven degrees of separation with Mike's niece who thought he looked familiar. It tuned out that they both sat together in Journalism classes at Northwestern and both had newborns. Here's a new joke Mike's brother told me: What did the robot say to the gas pump? .........................Get your fingers out of your ears when I'm talking to you. ha ha isn't that a Mikey joke? Tonight camp will officially go quiet as our summer programming wraps up. Over the course of the last week, we have played host to Camp Kesem - a free one-week camp for children who have been affected by a parent's cancer. Camp Kesem is a national organization that has chapters at 50 college campuses and each group runs its own camp for these kids. For the first time, North Star hosted the University of Minnesota's chapter and we have had a wonderful week filled with songs, cheers, laughter and a lot of spontaneous fun. "You know, mom, it's really special because you look around at camp and every one of the guys is a friend." I am so thankful for all of our campers and staff that help make North Star a place where everyone can feel that safe. That sentiment is being reflected in the enrollment for 2014. Coming off of a summer with a full and young camp, we have already had a flurry of registrations in from returning and new campers alike. We want to reiterate that WE CAN ONLY GUARANTEE PLACEMENT FOR RETURNING CAMPERS IF YOU ENROLL BY SEPTEMBER 1st. Please don't wait! This is our way of protecting our returning campers. After September 1st may be too late in many age groups. If you have a younger son that is interested in coming to camp next summer, please enroll him before September 1st as well. And if you have any friends or family that may be interested, please let them know that they should be in touch quickly. You can also fill out our Refer-A-Friend Form online. We are looking forward to a fantastic Summer of 2014, our 70th camping season at North Star, and we hope that your son will again join us. The normal flow of the summer gives way to lots of special programs over the last week of camp. While the "normal" days are never really normal, the last week is jam packed with special days, big programs and the eventual process of saying goodbye to friends new and old. We kicked off the big week on Saturday with our 69th Pow Wow Day. The entire camp was split into four teams, representing the tribes of Hopi, Yakima, Flathead and Omaha. Just about a week ago the 12 captains or chiefs were announced. These captains, four per village, were selected by the counselors to lead the teams. With their medicine men (counselor advisers), they choose their teams, assigned everyone to events and helped build great excitement and energy. The day led off with a traditional wake-up from the medicine men. They went from cabin to cabin to rouse all of our campers. After our opening ceremonies, campers went off with the rest of their villages for leg wrestling. Before lunch, we had two series of events, and when the scores were revealed half way through the day, Omaha had modest lead. After lunch, the counselors play one-pitch softball for eating order for dinner. One-pitch is a unique in that each batter literally gets one pitch. If the batter looks at a strike or fouls a pitch off, they're out. If they take a ball, they get first base. Before the third series, camper and staff running relays as well as camper and staff tug-o-wars got the entire camp back in action. Third series saw lots of canoeing events and fourth series all takes place at swim point, with swim relays, log rolling and waterpolo. With campers and staff alike exhausted after a long day and filled up on a great dinner of bar-b-que beef sandwiches and corn, we all headed up to the Council Ring for our closing ceremonies. This is when we have the inevitable stall. What the campers fail to realize is that what makes the stall is the reactions of the campers. If they would just sit quietly, Andy would be forced to read the scores. Ultimately, after about 30 minutes of camper induced chants, cheers and shenanigans, the scores were read. Yakima came from being in 2nd place at lunch to win the day, but in the end, it was about who had the most fun. Pow Wow Day is just the beginning. As we speak, we're about to begin Espionage, where the campers quietly sneak around camp trying to accomplish certain objectives under the cover of night. Tomorrow sees us sleep in for Lazy Day followed by the camper counselor hunt and casino night. Before the week is done, we'll have camper counselor day, our final staff show, a request program as well as several other events to wrap up what has been an amazing summer. About a week and a half ago I sat down to do a blog entry. It was a great time to preview one of our cruiser days and talk about the week ahead. As often happens here at camp, I got distracted a few times over that night, forgot about the blog entry. This happened about three times over the ensuing week and a half, and now, here we are on the eve of North Star's 69th Pow Wow Day. So I'll catch everyone up. Typically, the 5th/6th weeks of the summer tend to be a bit more "normal". 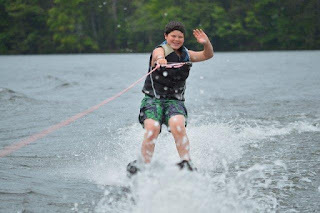 We have regular days, not as many special events, and we're really able to enjoy days of activities and cabin bonding. This summer, however, we got a jump start on special programs, leading off with College Days. Exclusively for our senior village campers, College Days is a three day period where the oldest campers are split into four teams. With no assigned captains, the teams govern themselves as everyone participates in a series of events. Many of these are sports related, but we also have things like waterskiing, bowling and, of course, the cook-off. Teams also make plaques, have a mascot and cheer competition and by the end of the three days, the seniors could sleep all day if we allowed them. As College Days were ending, it was time for us to honor a few of our long timers. On Friday we first had the opportunity to recognize Bill and Patty Lisberg. Bill has been camp doctor and with Patty, they've been coming up for 20 summers. They've actually started as NSC post campers in 1984 and we were thrilled to name the waiting room in our health center "The Lisberg Lounge". Were looking forward to another 20 years with Bill and Patty. 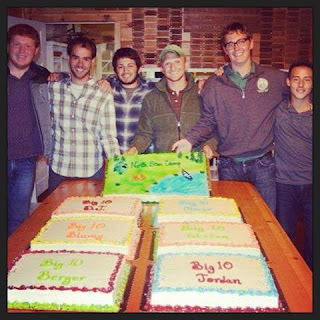 That evening was our "Big Ten", a time to honor those folks who have spent ten years at North Star. We had a full crew to honor this year, recognizing counselors Michael Berger, Zach Blumenfeld, Stefan Granados, Dylan Jacobs, Jordan Reiff and Oliver Rockman. We had a fantastic group that traveled up to share in the event with lots of family members and past campers/counselors heading to be in attendance. It was a great night with some fantastic stories. Following the Big Ten, the action continued. Over the weekend we welcomed in our rookies. Its fun to have prospective future campers spending time at camp for more than a few hours. Despite some less than ideal weather, the rookies loved playing dodgeball, regardless of the precipitation. After the rookies departed, it was time for the Green-White Egg Marathon. The marathon is an all camp event that takes about two hours. It starts with a relay race and over the course of the afternoon, everyone participates in at least one event. With the egg marathon, however, each team travels with an egg, and if the egg breaks, a runner must go and replace the egg. This year, as usual it game down to the boil water boil and a close marathon as usual. As if that wasn't enough, we headed towards Pow Wow Day as captains and teams were announced at the start of the week. 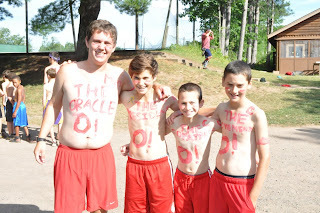 And if that weren't enough, we sent 70 campers to Camp Nebagamon for the annual bi-camp competition yesterday. Campers competed in archery, canoeing, cross country, chess, riflery, sailing, swimming and tennis. It was great to see our friends at Nebagamon and we thank them for their great hospitality. Saturday is Pow Wow Day and we won't make you wait another week and a half for updates. The summer is flying by and we're looking forward to an amazing final week of the session! I had to share this note. It was sent from a North Star alumni and former camp parent to friends of his who sent their son to North Star for the first time this summer. I bumped into Mark the other day and he told me that you had just put Elliot on the bus headed to the north woods utopia otherwise known as North Star Camp for Boys. Knowing full well how it feels as a parent watching those buses pull away and as a youngster taking his first big step getting on that bus, I thought I’d share some words of encouragement---for what they’re worth. My first bus ride to North Star left from the Cross Roads shopping center in 1972. The bus was a Keeshin bus and it smelled. They all do. Back then, North Star was an 8 week camp and when that bus pulled away, I was scared, I missed my Mom and Dad, and the enthusiasm that had built leading up to that first trip to Hayward seemed to evaporate and a sense of anxiety and a tinge of nausea took its place. Every single kid---to differing degrees---feels this. Having said that, the only tears that were shed that summer in 1972 was 8 weeks later, the night before I and the rest of my campmates were to get on that Keeshin bus again, but this time for the ride home. I repeated that trip for 10 successive summers; 6 as a camper and 4 as a counselor. Both of my younger brothers were North Star men. 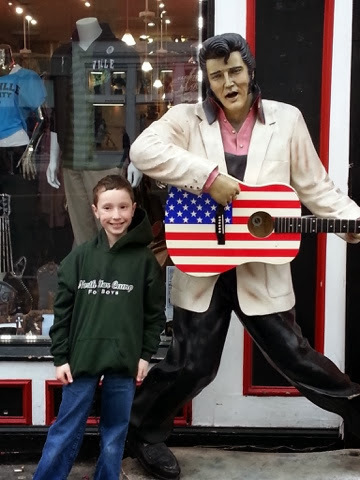 My son Max, who is now nearly 20, started at the age of 9 and Andy Shlensky was his counselor in J-1. I remember putting Max on that bus and wanted desperately to go with him. I have 3 nephews who go to North Star and one of them, Sam is in Elliot’s cabin. Sam is a good and caring boy and I hope Elliot and he will become good friends. North Star, as you may know, started in 1945 and the traditions and philosophy that were given birth by the founders—Lou and Renee Rosenblum---live on today. The friends I made back then are still friends of mine and I would do (and have done) anything for them and they feel the same way towards me. The friendships that were forged in my north woods utopia share unique characteristics that differ from friendships developed elsewhere. At North Star, Elliot will learn to appreciate teamwork rather than just “winning”. Screaming cheers of “WE ATE FIRST” will be louder than those of “WE WON”. He will learn to become self-sufficient. He will learn to work with others. He will come to appreciate that while competing in sports is fun, the underlying value of competition is not whether you win but HOW you win---in the spirit of good sportsmanship and fair play; lessons that seem to be lost in the daily competition that young people contend with today. Elliot will learn the crafts of camping and will come to appreciate the natural beauty that exists outside of the metropolis of his home surroundings. He will learn to love the sun setting over Clear Lake at the Council Ring and late at night in his cabin in the Junior Village on the other side of camp the echoing calls of loons as they land on Little Spider Lake will confirm the existence of a Deity because nothing so simple, yet so perfect and peaceful could ever simply appear in nature without one. So when both you and Mark have moments of worry during these next four weeks, I hope you will be encouraged and comforted in knowing that the traditions of North Star---Pow Wow day; U.N. day; the Green and White marathon; Cruiser day; Request night; Camper-Counselor day; and all camp Sing Alongs will contribute to a formative and special experience for Elliot this summer and hopefully in future summers. I hope you will reach out to me if you have any worries, questions or concerns. In the meantime, I leave you with the words of our camp song, Forest Green; a song that Elliot will sing at every campfire and pretty much sums up what that North Star is all about. ‘Bout my North Star home. ‘Bout our North Star home. And that was just Day 1! While there are many things that we have to take care of at the beginning of a session, we make sure that we get right into the program. Starting today, we we're off with our regular program. On the opening night, the boys picked their activities for the week, and today each camper started his own set of three activities. Each of the projects that he selected he will participate in for one hour and fifteen minutes each day for three days. After that, he will switch to his second set of activities for the following three days. Here's a Sample Schedule for one camper. But those are just the first three periods of a Typical Day. Fourth period was challenge games today, which gave each cabin the opportunity to challenge another group to a sport or game. After an explanation on North Star's philosophy on competition, we had games of softball, kickball, football, basketball, and of course dodgeball going on all around camp. "pickup" athletic games for campers to participate in. On a hot day like today, most guys chose to go swimming, jump on the water trampoline, go fun-bugging or sailing, or even run through the sprinklers on the athletic fields. Our always creative staff came up with games that they could play while running through the sprinklers too! And lastly, our evening program tonight was our staff show. Our guys utilized several creative skits and games to introduce the whole staff to all of our campers. Not only is this an opportunity to show off the energy and talents of our staff, it is vital that our campers know that they have a wonderful group of counselors that are there for them to help any camper through any issues he may have. That is a message that the campers have heard a lot of over the past few days, and it was reiterated tonight. In addition to the regular program getting started at camp, our tripping program is now underway as well. Cabins S-1 and S-2 left today on their 5-day hiking trip through the Porcupine Mountains. Cabin S-3 got started on the Brule River and S-4 will head out tomorrow. Camp is in full swing now and we are so thrilled to have this great group of campers and staff here with us! The second session of the Summer of 2013 has begun! Just from the bus ride, it was easy to tell what a great group of boys that were making their way to camp. The boys, both new and returning, were willing to shake the hand of a new a acquaintance, introduce themselves and become fast friends. We really do have the nicest boys in the world. And when the buses arrived at camp, they were greeted by 90 giddy staff members with the same the same demeanor. After the enthusiastic welcome, the staff all began to shake the hands of the campers to learn about all these great kids, find out who they are and where they come from, and what their interests are. As we announced cabin assignments around the flagpole, the counselors' enthusiasm was again on display. This mix of compassion and enthusiasm helped make for a fantastic first session, and I know your sons will love these guys. It's the fun that causes the summer to fly by so fast, but it's the great people we have at North Star that makes it such a special place. I look forward to seeing friendships form and strengthen throughout the next four weeks. I look forward to the boys learning new skills, and from those skills learning self-confidence, hard work and teamwork. And as we discussed at our visiting weekend Friday Night Service, I look forward to seeing this great group of campers and staff continue to teach one another about the meaning of positive character and values. From here on out, you can follow along with the summer of 2013 on our website at www.NorthStarCamp.com/blog. We will also be posting updates on Facebook at www.facebook.com/northstarcampforboys and on Twitter at www.twitter.com/northstarcamp. Thank you for trusting us with your boys. We are psyched for a great second session of the Summer of 2013! There's still plenty of camping left, but as we get ready to wrap up the 1st session, I wanted to share this letter I just received from one our alumni, Ross Temkin. It is just another great example of how the North Star experience lives on far beyond the summer! My group consisted of 46 recent graduates and young professionals, between the ages of 22-26, all living in the Chicagoland area. One of those 46 people just happened to be an NSC brother of mine, Adam (or better known at North Star as AJ) Bayard. AJ wasn't just someone I went to camp with. AJ was my "big brother" at North Star, talking to me before camp started, and answering any questions I had from then on. That was in 2001. In 2004 AJ also became my counselor. The trio of counselors that Summer led to possibly the most memorable Summer of my childhood. Happy Fourth of July! For most of you, by the time you read this, it will probably the fifth or sixth of July, and we hope that you had a great Independence Day, enjoyed the day with family and friends, and saw some great fireworks. At camp, the Fourth of July is a pretty big deal from start to finish and we make sure that our campers have a memorable day! In traditional North Star fashion, we started out with a very red, white and blue breakfast. The lodge was decked out in patriotic decorations and we have our traditional breakfast of waffles garnished with whipped cream and strawberries (we may need to add some blueberries next year!). Once breakfast is over, we go straight into our Green-White Marathon. Shortly after our campers arrive at camp, they are put on either the green or white team for their session at North Star. They play different games over the course of the summer, representing their team. For the marathon, however, we have one massive camp wide race comprised of 40 or so events. Each camper is in at least one event, racing against the other team. Events range from running relays and canoe races to tent building and bed making. While the marathon is going on, two campers for each team are collecting wood and birch for the ending event, the boil water boil. All told, the marathon goes for about 90 minutes and at the final event, the two campers for each team have one goal, get a #10 tin can full of water to boil over by building the best fire they can. The two pairs started their fires within a few seconds of each other (in the marathon, you cannot start your event until the event before yours has been completed). Everything was neck and neck, and both teams build tremendous fires. Green, however, edged out the White team, with their water boiling about fifteen seconds ahead. It was one of the closest marathons in recent memory. The marathon would be enough for one day, but we didn't have time to rest with our friends from Camp Birch Trail coming over in the afternoon. Everyone had time to take a shower and put on their finest attire for the social. The ladies from BT arrived in time for some great opening skits. Once that was done, we had some different ice breakers for each village with their female counterparts. Just before dinner we opened lots of different program areas and then our kitchen did great work feeding not just our campers and staff, but the over 300 visitors from Birch Trail. After dinner we headed up to our tennis courts for music and entertainment. We are lucky enough to have several very talented counselors who play different instruments and they put together a band that played several songs before we headed into Mike Hall for more music and dancing. One of the great parts of the Fourth of July is that we get to meet several of our camper's sisters. While some brothers play it cool, they all really love seeing their older or younger sisters after a few week hiatus. The day ended with several cabin groups sitting outside, watching the different fireworks going off around the lake. This Fourth of July also has some additional significance. As usual, we have a great crew of staff from other countries that choose to spend their summers working at camp. Additionally, we're proud to have staff members who spent time serving in the military. We love having lots of fun on the day, but we also relish the opportunity to help our campers understand the significance of Independence Day. Camp Gives Kids the Chance to be Zombies? Each night at camp gives us the opportunity to do something special. Many of these evening programs are traditional things that we do either once a week (like our Friday Night Services) or on a semi regular basis (village campfires, capture the flag, Green-White Series). Then there are nights where we have an open slot to fill and some staff members step up with something new and creative. Tonight, our Counselors in Training planned our evening program and transformed NSC to NSZ, with the "Z" standing for Zombie. Campers all had different spots around camp that they had to get to over the course of the night. Standing in their way, however, were counselors transformed into zombies. If campers got tagged by zombies, they got a mark on a tag they were wearing. Once campers got three marks and they themselves joined the band of zombies themselves, trying to tag out their former teammates. There were some other complexities and rules to the game, but ultimately, this evening program was just another opportunity for campers to run around and have fun, this time while trying to evade zombies. Props to our CITs who did a great job planning the evening program, which was capped off by the zombies demanding a half hour later for tomorrow. We will sleep in an extra half hour as we prepare for our Green-White marathon before hosting the ladies of Camp Birch Trail. Cruiser Days are some of my favorites days at camp. In many ways, it is like our weekend at North Star. Cruiser Day is a cabin day, which typically falls each Tuesday at camp. It is a break from our normal routine where each cabin plans a full day of games and activities that they will do together. Each Cruiser Day starts with breakfast in bed. We follow that up by changing our sheets and sending out our laundry, and a community pickup, where each cabin takes responsibility for cleaning an area of camp. From there it is up to each cabin what they will do that day. Some Cruiser Day favorites include tubing, visiting one of the resorts across the lake, scavenger hunts, slip and slides and more. Kim McCormack works hard to make sure each Cruiser Day is filled with special events for the campers. This week she set up a scavenger hunts, ice cream sandwich making, and a slip and slide. Each village also has a village cruiser day. The first week was the Junior Village Cruiser Day and our youngest guys spent the day at the water park, mini-golfing, and then they paid homage to the Northwoods culture by attending a Lumberjack show. The boys learned about the logging history of the region and also were entertained by yelling "Yo-Ho" to cheer on their favorite Lumberjack. Each camper was able to take a whirl with the big saw and became an official Junior Lumberjack. This week our Senior Village campers headed to Wild Mountain water park and enjoyed the nice weather. One of our first year counselors took some time to sit down and write a poem about camp. Zach isn't an English major... he's actually been majoring in engineering while on the wrestling team at Western New England University in Massachusetts. He's a football and pathfinders instructor for us and his poem really captures what we hope is the essence of camp. From the time that the campers arrive on Monday afternoon until they start their first instructional activities, less than two days pass. Within about 42 hours, campers will step off a bus and then onto a football field, tennis court, fishing boat or any of our other activity areas. Its important for the campers to hit the ground running, and this is why the day that campers arrive, we make sure that there is some type of action for them to get out, run around, and have fun. We also want to make sure that they start getting into the rhythm of the summer and get accustomed to a consistent program and schedule. Of course, before this happens we have to do things like swim tests and camper physicals, but on the first night, we get campers thinking about the cool stuff they get to do by having them complete their first set of activity requests. As we head into Friday, campers will be completing their first three-day activity set. Beyond the main camp program, the last few days have been filled with action to make sure we jump start the summer of 2013. Tuesday night we played our first game of capture the flag for the summer. Wednesday morning we bid adieu to the Pine Manor campers (our oldest campers), who left for their nine-day trip to Quetico Provincial Park in Southern Ontario. We also sent two trips to the Porcupine Mountains in the Upper Peninsula of Michigan as well as a river trip down the Flambeau. Wednesday was the first day of programming and evening program allowed us to introduce all of the great men and women that make camp run in our opening Staff Show. Rain headed our way on Thursday, but if it had to rain, the timing was pretty good. We were able to get in all of our instructional periods before bringing the campers inside late in the afternoon. Our Junior and Intermediate village directors were able to come up with some fun games to get us to dinner, when it looked like we'd be able to resume outdoor programming. The weather had other ideas, however, and we had to come up with a great indoor evening program. 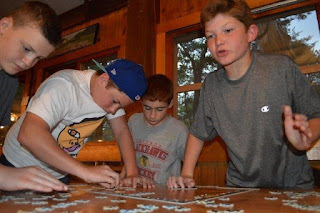 If we told you that we were able to create a fun filled night with lots of energy by having campers assemble puzzles, you'd thing that we were lying. Several years ago we bought about 20 jigsaw puzzles for a rainy day event. With the right build up, some fun competition, and the help of our tremendous staff, we had our first cabin puzzle challenge. Each cabin group got to choose a puzzle from our collection and they took on each other to see which cabin would be the first to complete their puzzle. Older cabins had to select from larger puzzles and we also threw in few curves. What resulted was an evening of part puzzle building, part dance party and a ton of fun. The rainy day puzzle contest shows the importance of great staff as well as the importance of turning something fairly insignificant into a big deal. We could have handed out a bunch of puzzles, left out the fun announcements, crazy build-up and other random silliness, but the event would not have had nearly the same level of excitement and participation. Our staff were vital in both getting our campers into the contest and keeping the momentum flowing. Its pretty clear that we've got a special group of counselors! Several cabins continued to try to complete their puzzles, even after the contest had ended. All of this was proof that at camp, you can turn something as basic as assembling a puzzle into a tremendously fun evening program. Today at camp we celebrated our first camp birthday of the Summer of 2013. 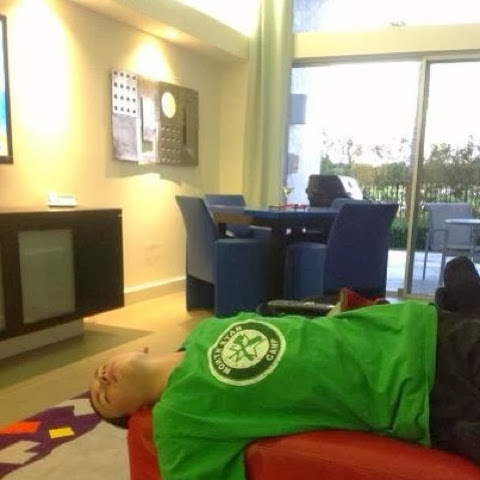 Jacob B stood on the chair in the dining hall and was serenaded by the our traditional, unique birthday songs. After he blew out the candle in his cake, I made my usual blowing-out-the-candles joke, "We're all still here." Jacob's response, in his 7th summer and first as a counselor, was quick to turn my joke into a great moment. There is nowhere I'd rather be. The dining hall agreed! That was just dinner on our first full day of camp, which was no regular dinner. It was our our Opening Banquet, in which all of the campers are welcomed into the dining hall by a full staff of guys dressed up in ridiculous costumes and cheering with excitement. We have such a great group of campers here this summer, and we are so proud to welcome these guys (back) into the North Star family. Our first full day at camp came with perfect weather. After a chilly night, we had a beautiful day in the upper 70s with the sun shining. It was perfect for a day of physicals, swim tests, and the all-important games of Continuous Dodgeball. This game has truly become a staple of the first day at camp, where a whole village is out on the athletic fields playing an every-man-for-themselves version of dodgeball. The twist on the first day is that when you get somebody out, you have to go introduce yourself to that person. Between the candlelight ceremonies that took place last night, and the various activities throughout the day, this helped facilitate an environment whereby all the of the campers know the names of their fellow campers. For evening program, we played our first game of All-Camp Capture the Flag! We start by dividing the whole camp into two teams, and then create flag circles on completely opposite ends of camp. We rang a bell and they were off. While the night was through then for most of our boys, our oldest group was preparing to leave for Canada. Tomorrow morning, they will take off on their 10-day journey through Quetico Provincial Park in Ontario. They did some training today along with packing, and the group also gathered at Leb and Sue's house for a proper send-off. We talked about the significance of the trip and previewed just how much fun these guys are going to have. It is always amazing to send off these boys on their Canadian trip. It is a moment that they have been working towards for as long as seven years as campers. In this group, we have seven guys whose fathers also went on the Canadian trip. And some of us old-timers shared stories of Canadians past, it is always fun to think how the nervous energy of the group will be transformed into hard work and teamwork while they're on their trip, and finally transformed into confidence and poise when they return with a knowledge of what they completed. We'll see them in 10 days! The Summer of 2013 is Underway! The Summer of 2013 is finally here! The day we have all been waiting for and, more importantly, the campers we have all been waiting for have arrived. The buses were filled with excitement for camp, and that was before the boys starting eating their candy. In addition to hearing about all of the incredible things that our boys have done over the offseason, one of my favorite parts of the bus ride is listening to the returning campers explain to the first timers every little detail of what they are about to experience. Between that and everybody joining in and singing songs, I could already feel the sense of community building on the bus! That's a pretty impressive list. Not only are these guys going to be great role models, they demonstrated right out of the gate that they are going to be a ton of fun as well. Straight off the bus we gathered around the flagpole, and as we announced the cabins, the staff and campers went crazy. High fives, chest bumps and prepared shenanigans put a smile on everybody's face. The kids have now unpacked and new campers have been given a tour of camp. By the time they go to sleep tonight, they'll have played games with their cabins and met some of the other guys their age as well. Dinner this evening will be burgers, fries, jello, salad and the ever present Sun Butter and jelly (no more Peanut Butter). There will be vegetarian burgers available for those that prefer, and brownies for dessert. Tomorrow the kids will have a busy day as they get checked out by the medical staff, take a swim test, choose their 1st week's schedule and find time to play several games of dodgeball. Evening program tomorrow will be our first game of All-Camp Capture the Flag. First thing on Wednesday morning the boys will begin their first week of regular activities. Wednesday morning our oldest campers will leave for their Canadian adventure, where they will spend 10 days in the Canadian wilderness in Quetico Provincial Park. Wednesday evening will be the staff show, where our very talented group will be on display. Thank you for trusting us with your boys. We can't wait for the rest of a great Summer of 2013! Jacob Lehr heads to camp after spending the year in LA. He just finished his freshman year at the University of Southern California, Jacob hails from Omaha, Nebraska. He's undecided on a major, trying Civil/Environmental Engineering next semester. Jacob is involved in Troy Camp, (mentoring, tutoring) and just finished a one-week sleepover camp for kids in local schools. He's also involved in SC Outfitters, an outdoors club, and will be leading trips as a guide next year. 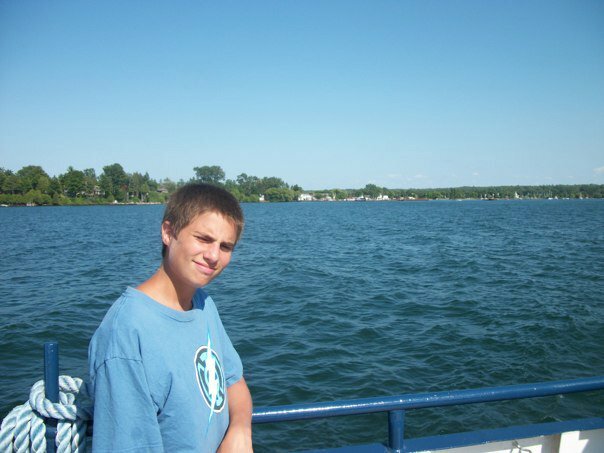 Lucas Kasle is a resident of River Hills, WI, just outside of Milwaukee. He just completed his junior year at Nicolet High School. He participated in swim team and got 3rd in conference. On his school's tennis team he got 5th in conference. He went to London and tried to visit Olly, but he was busy. This will be his eighth summer at camp and he’s looking forward to instructing athletics and climbing. A certified life guard, he is also looking forward to spending some time on the water front. He's been working hard on my Egyptian rat-screw techniques getting ready for the summer.